In order to select correlated and relevant features in a feature selection, several filter methods adopt a symmetric uncertainty as one of the feature ranking measures. 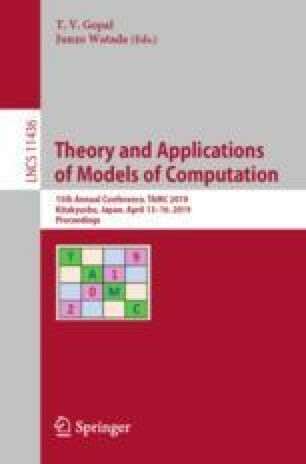 In this paper, we introduce a fluctuation into the increasing order of the symmetric uncertainty for the consistency-based feature selection algorithms. Here, the fluctuation is an operation of transforming the sorted sequence of features to a new sequence of features. Then, we compare the selected features by the algorithms with a fluctuation with those without fluctuations. The author would like to express thanks for support by Grant-in-Aid for Scientific Research 17H00762, 16H02870 and 16H01743 from the Ministry of Education, Culture, Sports, Science and Technology, Japan.